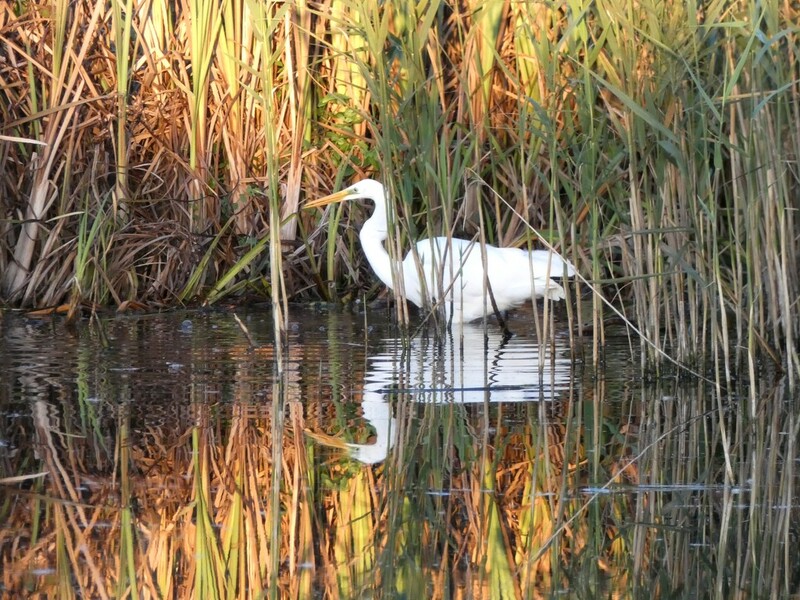 This Great White Egret was having a successful time fishing for his supper at Graylake RSPB nature reserve. He caught several little fish while I was watching so he would have gone to bed with a full stomach! A beautiful capture and a great reflection. Well done on this one - the reflection is lovely and I love the sunlight on the water in the foreground. A lovely capture of this white egret. A lovely shot and great reflection, fav!